We’d love your help. 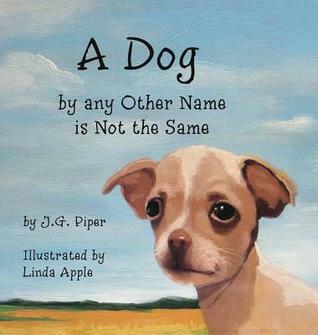 Let us know what’s wrong with this preview of A Dog by Any Other Name Is Not the Same by J.G. Piper. What makes a dog special? Is it their breed? Is it their color? Could it be their personality? Or maybe it's what they love to do? Maybe it's time to ask our four-legged friends, and see what they have to say for themselves. 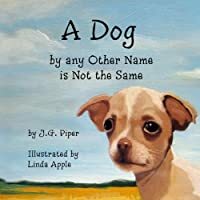 To ask other readers questions about A Dog by Any Other Name Is Not the Same, please sign up. This has become one of my favorite books. 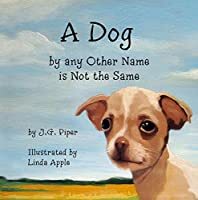 If you are a dog lover you will like this children's book. It introduces children to a variety of dogs in a fun way. Animal lovers will enjoy reading this to any age children. Great book and the dogs are beautifully illustrated! I couldn't wait to get to the lab. The expressions on those dogs faces were so great. I must admit some of those descriptions of a dogs day were spot on! Great read! Abby enjoyed seeing and reading about the different dogs in this informative tale. Each dog had a story and fun fact to go along. Cute book with rhymes. A good read to littles ones! Also teaches kids a few dog breeds and that not every dog is the same! My 2 year old and 7 year old sat thoroughly enjoying this book. 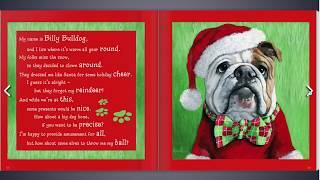 Who doesn’t love dogs and rhyming?? Highly recommend. Just a lovely story and very sweet. Read to my grandson and he enjoyed it. The rhyming was great . Do you believe there should be more JOY, CONNECTION and UNDERSTANDING in the world? If you do, I think you’ll love my books! This belief is what drives my passion for creating Children’s Books! My books build understanding and loving connections with the use of imaginative characters. I strive to make my books valuable for both children and adults, books that speak to the hearts of our children, as Do you believe there should be more JOY, CONNECTION and UNDERSTANDING in the world? My books build understanding and loving connections with the use of imaginative characters. I strive to make my books valuable for both children and adults, books that speak to the hearts of our children, as well as, the child in every adult. I don’t find it difficult to speak to both, we’re all people, little and big. What you can expect from reading my books, first and foremost, is it’s going to be fun! My number one objective is to weave fun, joy and happiness into the stories. A child’s smile and laughter are so precious. It’s a gift to the world and if I can play a little part in that, it fills my heart! Secondly, you can expect stories that will evoke curiosity and wonder. These stories also provide insightful situations that can spark meaningful conversations with your little listener. Simple life lessons and concepts like love, acceptance, friendship, self esteem, kindness, diversity and much more. I love to do this and truly appreciate all your support, so I can continue pursuing my passion. I am a third generation artist, blessed to have been immersed in the arts my whole life. A well as being a writer, I am also a visual artist, so I may both write and illustrate a children's book in the future. For now though, my mother Linda Apple, is the illustrator and it is a thoroughly enjoyable process to collaborate with her on these books as I feel her artistic style is a perfect fit. My journey into the arts began when I was a child. I wrote and illustrated my own original comic books. At age eight, I don't think my comics were ready for prime time but it was a start and my love for the arts continued. As I matured into adulthood, comic books were replaced with fine art and I worked in the mediums of oil painting, bronze sculpture and photography. I've always told stories with my artwork, many times describing my work to people as a visual metaphor. I’m definitely a kid at heart who loves to travel into the furthest reaches of my imagination, so writing children’s books seems to come very naturally. That's all for now, stay tuned and stay in touch. I certainly invite you to continue along with me on this journey. You can get notifications on new books by joining my mailing list or any of the social networks at the top of this page. Also feel free to contact me, I'd love to hear your thoughts about the books. Do black cats deserve the bad rap that they get? These black cats get a chance to express themselves and tell their side of the story! Clever rhymes and beautiful cat illustrations will captivate children, and young readers will look forward to every page-turn. The black cats tell their stories in a way that is fun and funny, and by the end of the book, readers both young and old will delight in saying, “I’m a black cat who got a bad rap.” The short poetic verses are gorgeously illustrated by internationally known artist Linda Apple. Her illustrations are rich with color and cat-personality. Read the book, and decide for yourself: are black cats as bad as all that?